Clinical Haematology provides services for the investigation and treatment of malignant and non-malignant haematological diseases. These include leukaemias, lymphomas, multiple myeloma, sickle cell disease, thalassaemia, bleeding and thrombotic disorders, anticoagulation, anaemias and transfusions. Adult haematology inpatient services is based on ward 33 at Bradford Royal Infirmary, which has 12 en-suite rooms. The ward manager is Christine Bottomley. The ward is home to a dedicated team of doctors and nurses who are caring, compassionate and committed to offering excellent patient care. Our day-case department is based on ward 16, and caters for patients who require chemotherapy, blood products and other haematological products without the need for admission to hospital. The ward is also home to acute oncology nurses who can give compassionate care, advice and support to all cancer patients. Clinical Haematology is also an integral part of the Leeds Cancer Centre, and works in partnership with the Haematological Malignancies Diagnosis Service (HMDS) which provides regional and supra-regional diagnostic services. The department is also home to a team of clinical nurse specialists. The Clinical Haematology department has a large clinical trials portfolio. The Haematology Research team runs a portfolio of trials ranging from multi-armed, international, randomised controlled trials, to service evaluations. We cover all areas of malignant haematology, acute and chronic leukaemias, high and low grade lymphomas and myeloma. We also run non-interventional studies in non-malignant haematology such as hemophilia. As part of our trials we are testing novel agents with the aim of improving patient outcomes and providing patients with access to treatment not yet available on the NHS. We closely monitor all our patients, and thanks to the results of our trials patient care is constantly improving. The research team includes two research sisters (Lead Sister Victoria Drew and Sister Jan Bunch), a part-time epidemiology trials assistant (Jannika Lazarte), and research sister (Sarah Matthews). We are committed to providing patients with a high quality, professional and ethical research experience, delivered with care, compassion and respect. Our aim is to run clinical trials in all areas of the Haematology service. The Sickle Cell and Thalassaemia Service is based in the community close to Bradford city centre, at the Manningham Clinic. This specialist service is delivered by two haemoglobinopathy counsellors and a team secretary. Staff aim to deliver a high-quality service to all clients who access the service for screening or with significant haemoglobinopathy disorders such as sickle cell disease or thalassaemia. We have a team of five consultants, four registrars and a cohort of junior doctors. The charity works closely with wards 33 and 16, and is managed by eight volunteer trustees. It occupies a fundraising/administration office on ward 16 at Bradford Royal Infirmary. 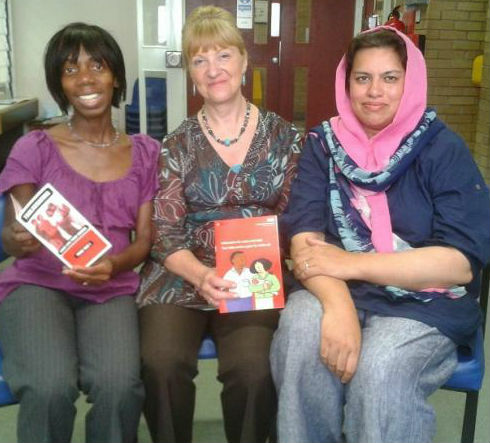 Our talented and compassionate staff care for a diverse population, making Bradford a special place to work. Choosing the right people is key to our success. If you think you’ve got what it takes, please contact us by email at careers@bthft.nhs.uk to discover more about our latest opportunities.